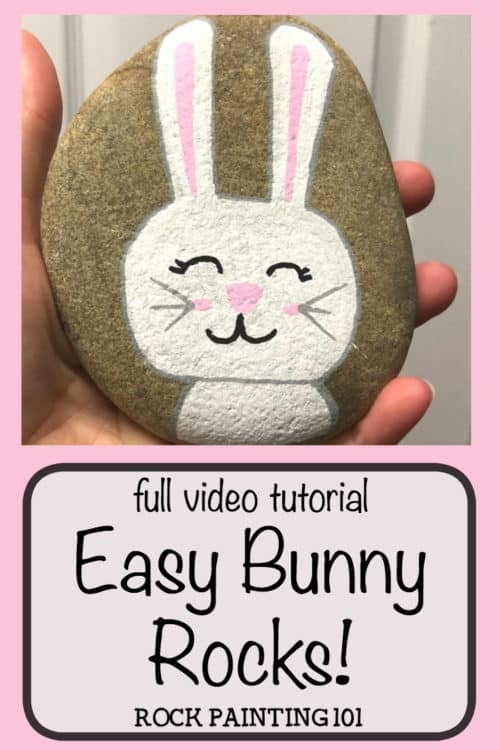 This adorable Easter bunny rock is a great project for beginners. 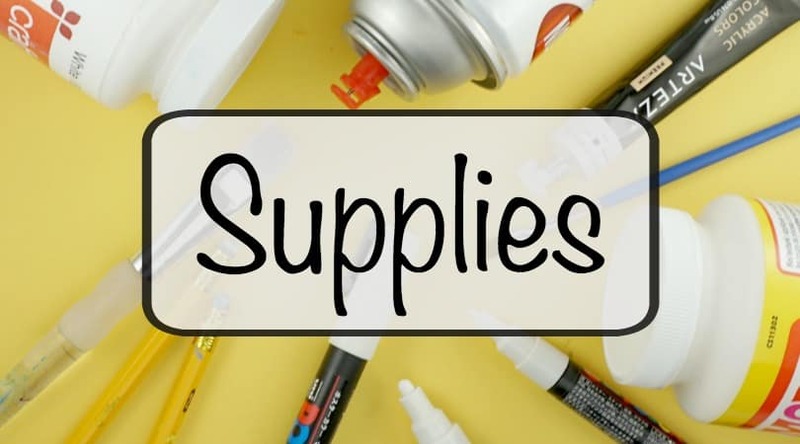 It uses a simple block painting technique and we use paint pens to make the process super easy. 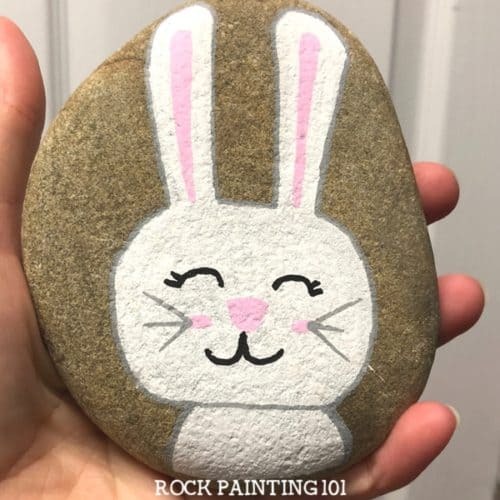 This Easter rock painting idea will be perfect for your Easter rock hunting! 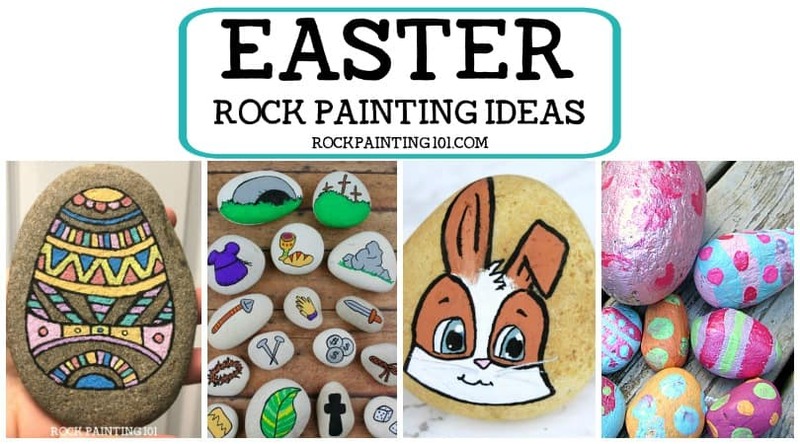 I’ve been hearing more and more that people are planning on adding painted rocks to their Easter egg hunts this year. They may even do a full on Easter rock hunt! How fun! I hope my area does something as fun as that! 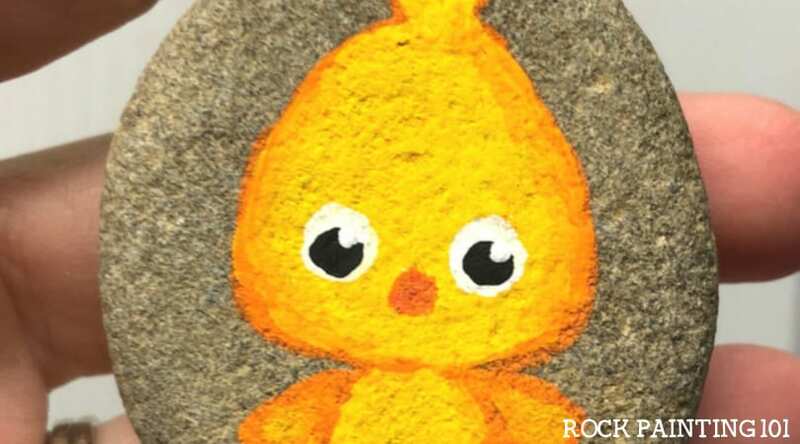 When I created the Easter chick painted rock people started asking for an Easter bunny rock. So here it is! Isn’t he adorable! 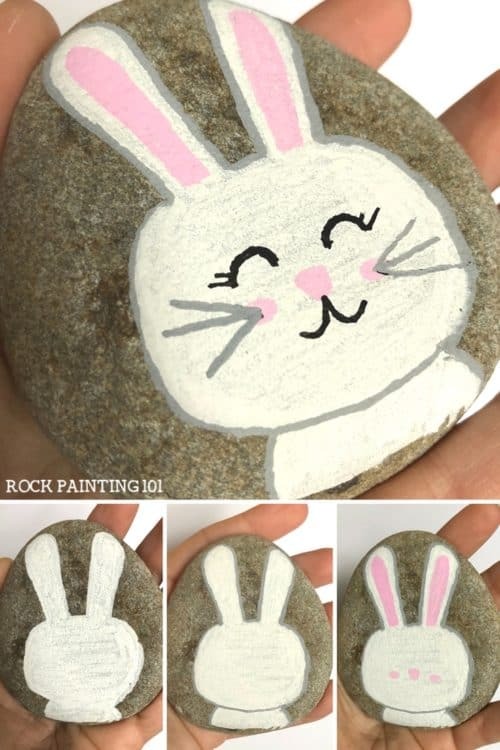 How to draw a bunny on a rock! Start by painting the shape of your Easter bunny’s ears. Then block the circle for the face and the little shape of the body. I used a grey Posca paint pen for the outline of the body. Don’t forget to draw a line that separates the head from the body! For your bunny’s ears, start with a pink stripe down the center of the ear. Then thicken the line so that it follows the shape of the ear. 101 Tip! : A great thing about Uni Posca paint pens is that when your child interrupts your rock painting, you can just pop the cap onto your pen and not worry about your paint drying out! 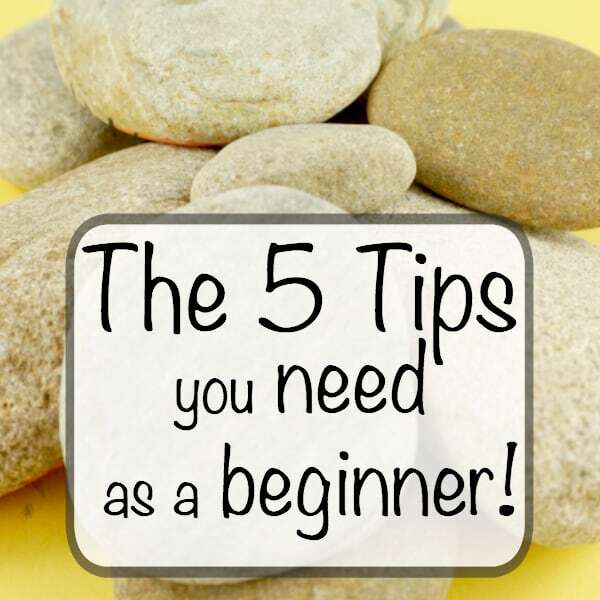 To paint a nose on your bunny rock, create a triangle with slightly rounded corners. I added pink cheeks to my Easter bunny, but that’s completely up to you. To create the mouth and the eyes, I find it easier to paint them upside down. Practice drawing the shapes on a piece of paper first to see how you draw the best. To line up the eyes with the nose, I painted each eye from the edge of the pink cheek to the side of the nose. 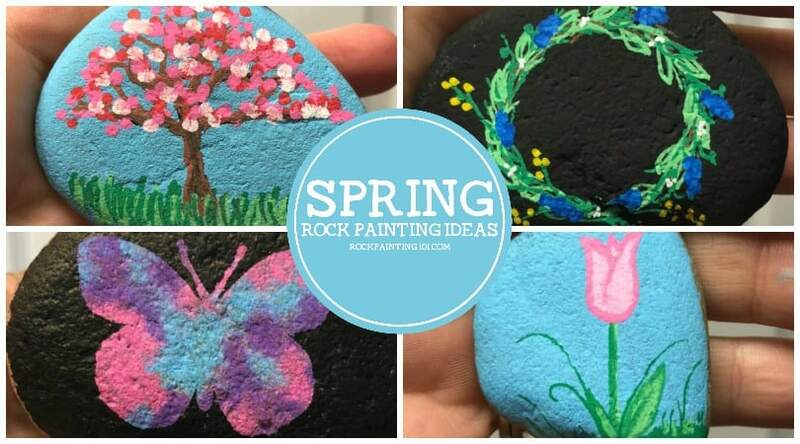 Finish off this Easter rock painting with three quick whiskers on each side!